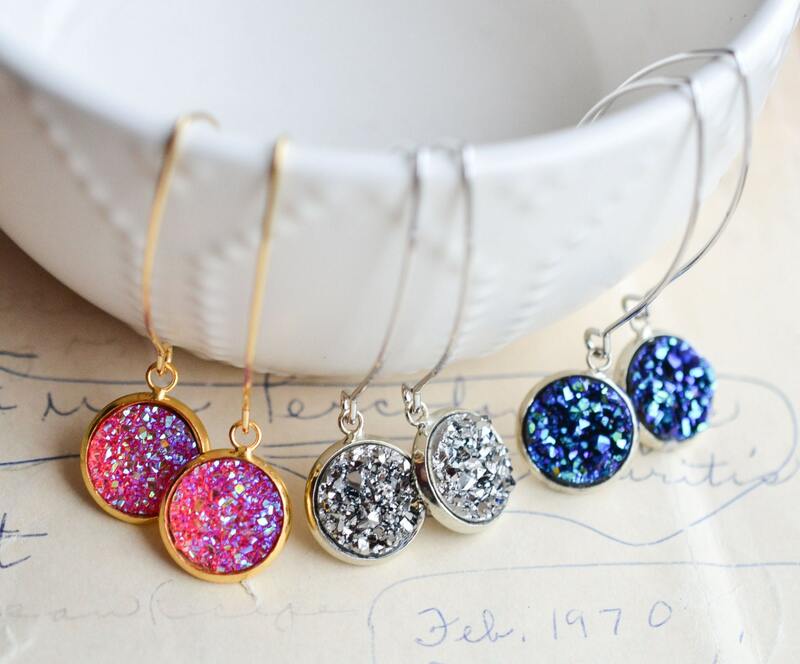 Druzy items are one of the hottest fashion items out there right now! 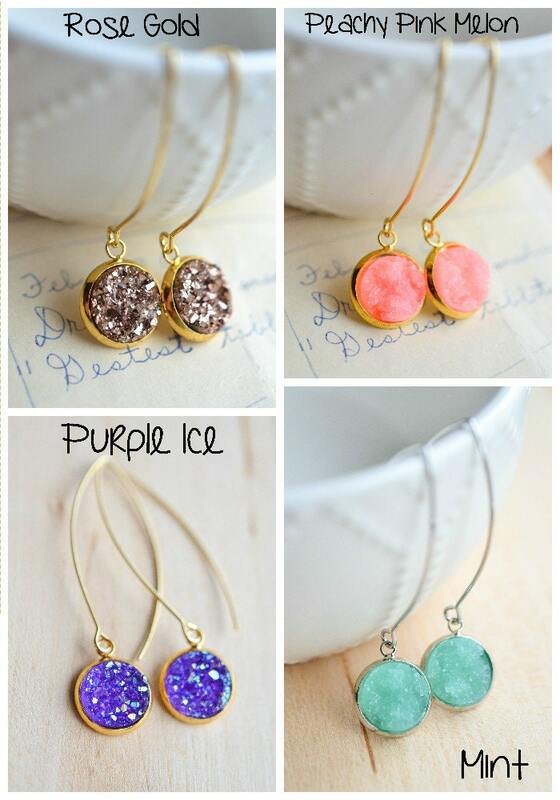 These simple, yet elegant, faux druzy drop earrings are great for casual wear as well as for a night on the town! 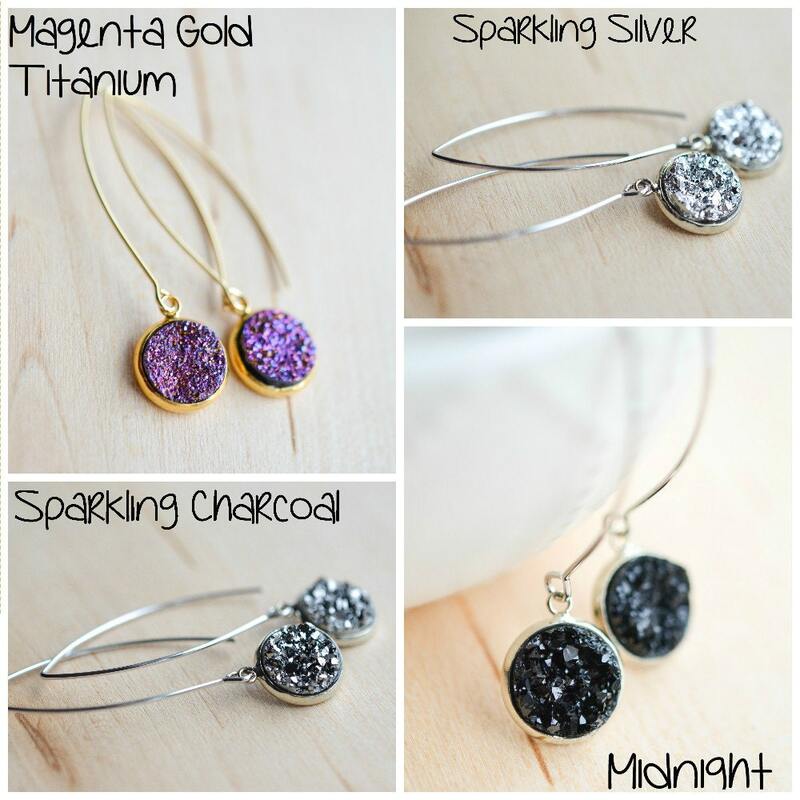 You can choose from 11 different beautiful druzy colors as well as a silver or gold setting! They are all handmade one by one! 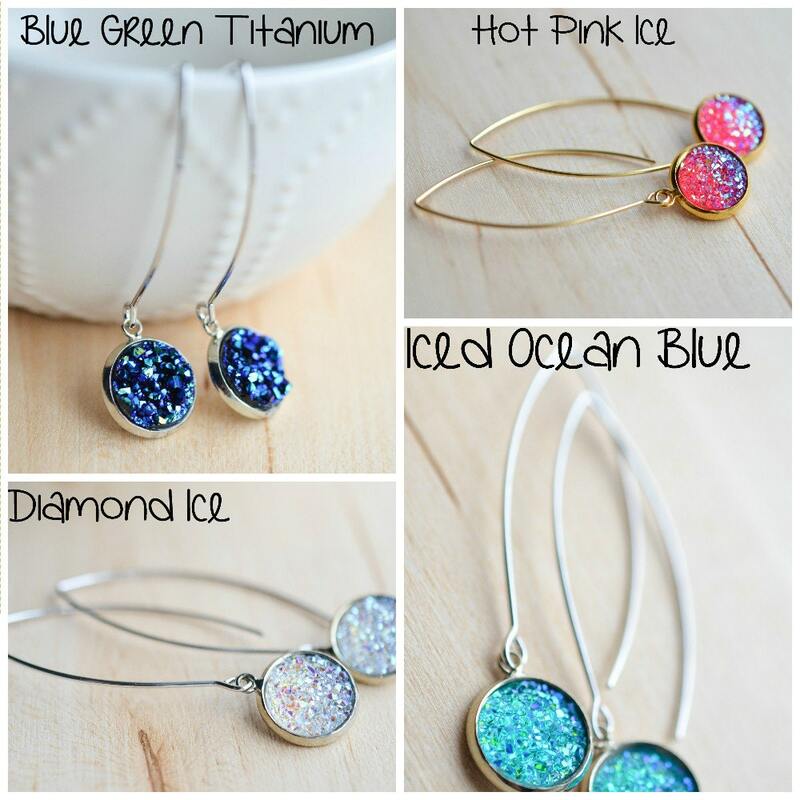 Add some sparkle to your wardrobe today!! They measure roughly 1/2 in diameter and are 42mm long. These are NOT genuine Quartz, they are resin stones.